How can email marketing enhance your reach? Email Marketing: Do You Know How It Can Enhance Your Reach? The answer is: No! If used wisely, emails can still work wonders for online marketing. Why People Are Losing Faith in Email? 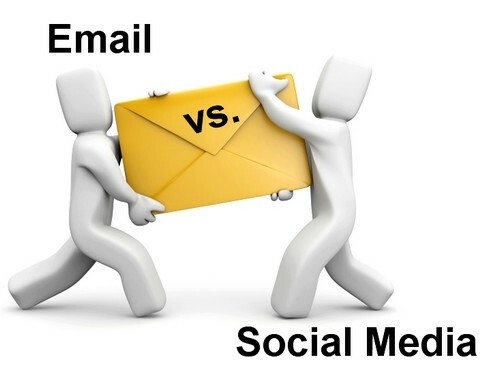 Email is the oldest medium of online communication, and when compared to social media features, is pretty dry. With social media tools, millions of people can communicate with each other instantly. Facebook and Twitter are probably the largest marketing platforms with billions of fans. Many big corporate houses have gained huge business success through social media. Email marketing is outdated because most consider it boring. In fact, teenagers, and most below 50, hardly use email these days to share events, activities, comments, pictures, etc. Social networks are mostly privately owned and have a market value worth billions of dollars. LinkedIn’s estimated market value is $10 billion and if Facebook goes public, it can earn a market share of $100 billion. Everyone wants a share in social media because it’s profitable. Email is non-proprietary. It doesn’t have a market value. Email is like air, its essential but you don’t pay for it. 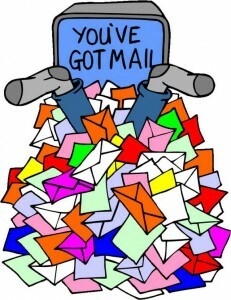 Another major drawback of email is you can’t get the attention of a huge audience at the same time. Email is private. You can send a mail to only those who you wish to or know ids of. When it comes to Facebook however, whatever you write on your wall can be viewed by thousands of people at the same time, with or without being on your friend list. Online marketers like to share their news fast, and with a large audience. Why Email is Still Important? Emails do not have the ability to share content with millions at once and create thousands of fans, but when it comes to number of users, social media falls behind. In USA, only 6% of people have never sent or received an email, but 39% internet users never used any social network. That means email marketing is your safest bet when you want to communicate with a large audience. You may have an account in Facebook, Twitter, LinkedIn, Myspace, Orkut, and in many other sites. But when it comes to email addresses, you probably have 1-2 email addresses. When people have too many social media accounts, they will overlook a post or tweet, but when they receive a mail in their inbox, the possibility of checking the message is much more. When it comes to direct marketing, 93% of email users have opt-in relationships with a consumer brand, compared to 15% on Facebook and 4% on Twitter. Facebook has realized the importance of email as a medium of communication and marketing. They have already launched a @facebook.com email address. Email attracts users’ attention. When people receive an email in their inbox, they read it most of the times. But when the same person gets a feed from Facebook, he overlooks it. When it comes to social media like Twitter, you have only 140 characters to express yourself. Email has no such limitations. You can write in detail about your product or service. Email does not irritate users. You can keep your inbox to zero. But Facebook and Twitter floods your profile with hundreds of updates every minute. How many Tweets can an online marketer send? No matter how many he sends, some new Tweet from another company will replace it, and the previous Tweet will go into oblivion. Email marketing is slow but steady. Using email, you can cultivate your brand image, advocate the reasons that make you the best and create a long lasting impression on the users’ mind. In social media, the PPC campaigns are like shooting stars. Once you stop PPC, people forget about you. When you send an email, write in simple language but offer valuable information. People forgive gibberish content in Facebook, but not in a mail they get from the same brand. Email gives you the freedom to write as much as you wish. Still, your content should be compact and coherent. Writing too much can bore your target audience. Categorize your customers and send message to them with a personal tone. You should not address the entire audience the same way. Also, do not address collectively, saying “hi all”. Despite the popularity of social media, email has its own advantages. It reaches the target audience directly and individually. To start a successful online marketing campaign, you can’t ignore email.